Let's print! 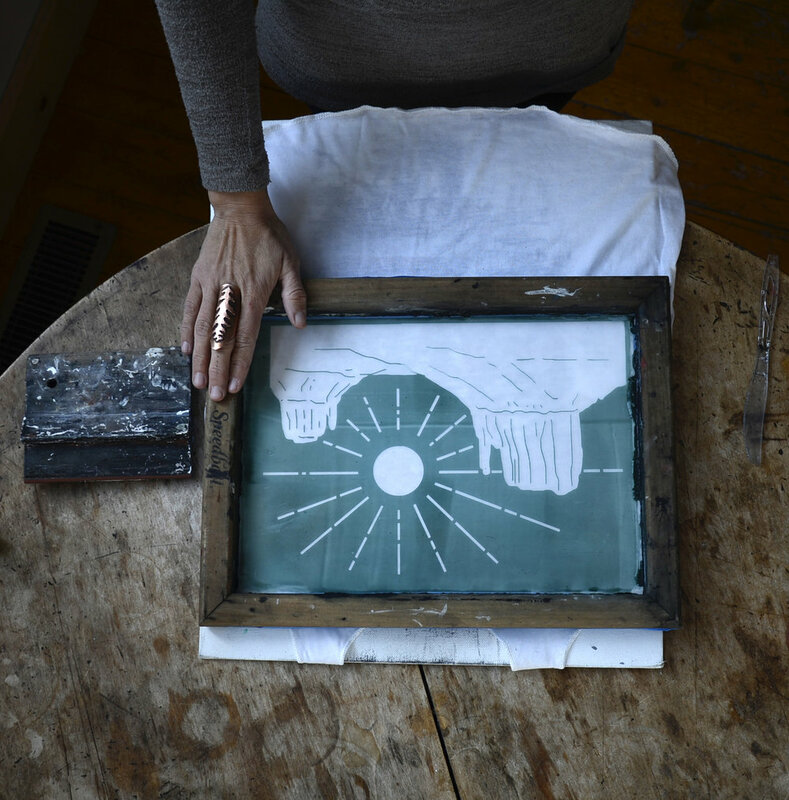 Learn the basics of photo emulsion screen printing with Courtney Leigh Johnson of Little Canyon Outfitters. This class is perfect for the intermediate printmaker looking to get into home screen printing. Participants will participate in the process of preparing, burning, and washing a screen out in preparation for water based printing. You will leave with printed shirts of your own designs from pre-made screens. Designs need to be emailed to events@altaarts.org by January 17, fit within 7 x 9 inches, and be bold black line drawings, no color drawings. It’s easiest if there are no fine lines (nothing pencil thin). Drawing with a sharpie will help gauge that. For this class, the designs should be simple black and white, no shading BYOS (bring your own shirt)!